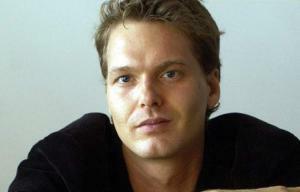 Janus Friis is a Copenhagen, Denmark-born Danish entrepreneur, who is best known for co-founding the application Skype. Born on 26 June 1976, Janus started his work as an entrepreneur in the field of information technology in 2002. Apart from Skype, he is also popular for being the co-creator of applications like KaZaA, Rdio, Vdio and others. A globally recognized entrepreneur who has managed to become one of the highly regarded personalities when it comes to technology, how rich is Janus Friis at the present? As of 2015, Janus has been counting his wealth at an amount approaching $1.5 billion. Obviously, his involvement and creativity in the field of technology has been the major source of his income which has made him a billionaire over the years. Raised in Copenhagen, Janus left school in his mid-teens without graduating. His initial job was in CyberCity, internet service providers, which happens to be one of the firsts in Denmark. Always keen on technology, Janus’s luck changed when he met Niklas Zennstrom in 1996. Niklas was then head of Tele2 Company, and Friis was hired in order to run its customer support. The duo started clicking together and launched different applications and portals like get2net, everyday.com and more. Obviously, at this point of time, Janus’s net worth had started rising. Janus and Niklas left Tele2 in order to work together. In 2002, they started developing KaZaA, software for FastTrack file-sharing network protocol. They subsequently also founded Altnet and Joltoid, both of which were very successful in the market. In 2002, Janus and Niklas also founded Skype, a peer to peer telephony application which is still very popular. Skype is the one application which launched Janus into the billionaire’s club along with his partner. As Skype became popular, it was sold on ebay at the price of $2.6 billion to Silver Lake Partners. This application was again sold to Microsoft Corporation in 2011 at the price of $8.5 billion; this transaction was one among the very popular when it comes to technology and was extensively covered by media, giving exposure and celebrity recognition to Janus Friis and Niklas. Of course, this was also a pivotal moment in Janus’s life which managed to make him a billionaire. Apart from Skype and KaZaA, Janus is also credited for creating Joost, software which made watching videos and television possible on one’s personal computer. Another of the duo’s successful applications is Rdio, an ad-free music subscription service. Later in 2011, Janus launched Vdio, a music and video streaming service which he owns by himself. Needless to say, all of these apps have also been adding to Janus’s net worth in a significant manner. As for his personal life, Janus likes to keep things private, and this 39 years old entrepreneur’s marital status is still undisclosed to the public. What we know for sure is that Janus Friis is currently enjoying his successful career as an entrepreneur which is complemented by his current net worth of $1.3 billion.